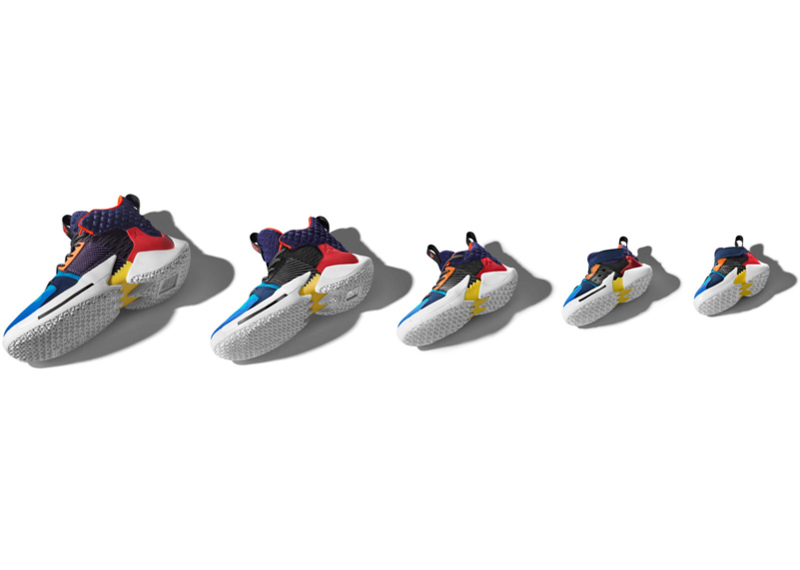 Nike and Jordan Brand have released limited-edition sneakers for one of their signature athletes, Russell Westbrook. 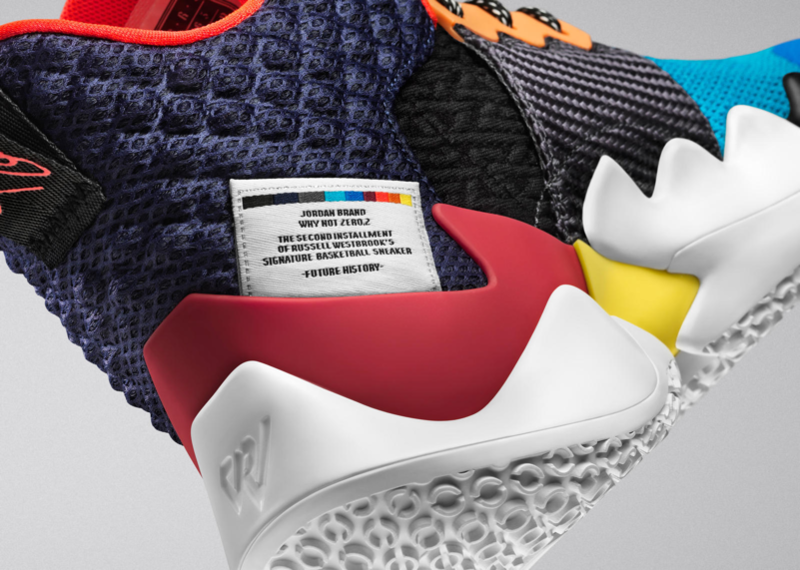 His second signature sneaker, the ‘Why Not Zer0.2’ is a reflection of this: the design may seem chaotic, but Westbrook planned every element of it with a specific purpose. Family is everything to Westbrook, which is why he added a family crest on the inner tongue of the shoe . He also added a black block midsole to honor his late best friend, Kelcey Barrs III. “It’s become a tradition for me to honor Khelcey by writing “KBII” on my game shoes. Each WhyNotZer0.2 will have a designated area for me to write that on. I want people who wear my shoe to understand that playing with a purpose bigger than yourself is important,” says Westbrook. Finally, Westbrook claims these are shoes for the kids as well and has emphasized that in the marketing campaign. Since entering the league, he has remained committed to inspiring the youth through his charitable work, and his message to them has always been: “Why Not Me? Why not follow your dreams? That is why he pushed the Jordan Brand to create a premium performance shoe with an accessible price. “Being a father, it was important to have my signature shoe available in all family sizes. That’s not common in performance shoes but I want to inspire the next generation. That means make the shoe affordable and accessible to people from all countries and all ages around the world,” says Westbrook. The Why Not Zer0.2 were released globally last week in all men’s sizes. Learn more about it at air.jordan.com.